Wisconsin DUI/DWI Defense Attorney - Crooks, Low & Connell, S.C.
Is there a Difference Between DUI and DWI in Wisconsin? Instead, when you are pulled over for drunk driving in Wisconsin, you will typically be charged with two Wisconsin-specific offenses: (i) operating a motor vehicle while under the influence (OWI), and (ii) operating a motor vehicle with a prohibited alcohol concentration (PAC). So, does this terminology really make a difference? As it turns out, it does. Specifically, there is significance to Wisconsin’s use of “operating” under the influence as opposed to “driving” under the influence. In order to be considered “driving” under typical DUI/DWI laws, you must be behind the wheel of a vehicle that is in motion. If you put the key in the ignition but never take your foot off of the brake and put your car in gear, you cannot be considered guilty of “driving” while intoxicated. But, you can be considered guilty of “operating” your vehicle while under the influence. As a result, Wisconsin’s OWI law is actually broader than other states’ DUI/DWI laws, since you do not need to be driving in order to be convicted of Wisconsin’s version of the offense. As we mentioned above, Wisconsin police officers will commonly charge individuals suspected of drunk driving with both OWI and PAC. So, what is the difference, and why are you being charged with both for a single drunk-driving arrest? While OWI and PAC both involve drunk driving (or “operating”), they each cover different aspects of the offense. As a result, they rely on different facts, and this is one reason why the government commonly brings both charges. If prosecutors do not have enough evidence to convict you on one, they may still be able to convict you on the other. Both charges carry the same penalties, and they have the same consequences in terms of counting as a prior alcohol-related offense. OWI is what most people commonly refer to as DUI or DWI. It involves impaired operation of a vehicle, as evidenced by swerving, drifting onto the shoulder, poor performance on field sobriety tests (FSTs), and other factors that are commonly indicative of being drunk behind the wheel. PAC, on the other hand, looks solely at your blood alcohol concentration (BAC). If you are caught driving with a BAC above the legal limit, which is 0.08 for adults over age 21, this is enough to support a conviction for PAC. In other words, with a PAC charge, you can face criminal penalties even if you are not impaired as a result of your intoxication. Charged with OWI and PAC? You May Have Defenses Available. If you have been charged with OWI and PAC in Wisconsin, it is important that you speak with an experienced criminal defense attorney. 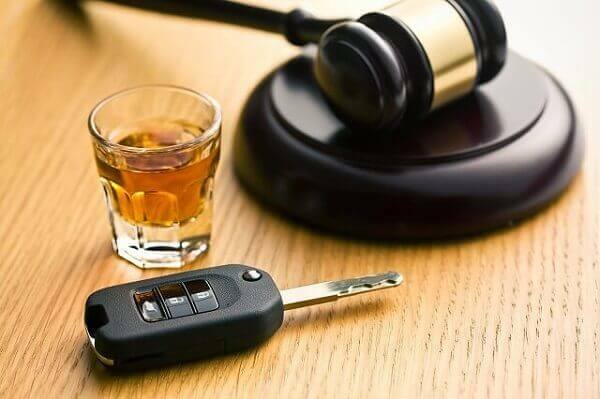 From calibration issues with testing equipment to violations of your Constitutional rights, there are numerous potential defenses to both charges, and you need to do everything possible to protect yourself against Wisconsin’s harsh drunk driving penalties. To learn what defenses you may have available, call (715) 842-2291 or contact us online and schedule a consultation about your case today.